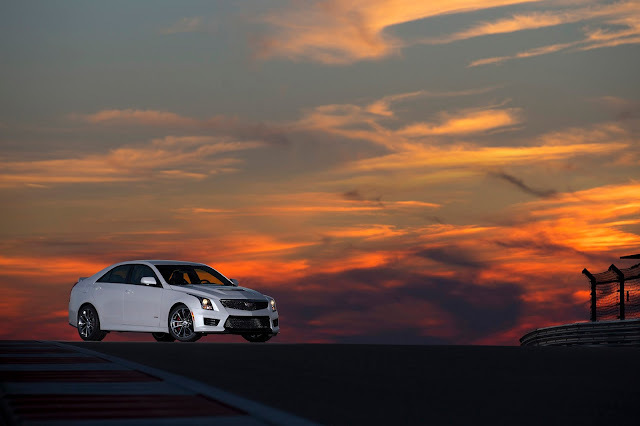 Axis Of Oversteer: We beat on it as hard as we could: the 2016 Cadillac ATS-V on-track review. We beat on it as hard as we could: the 2016 Cadillac ATS-V on-track review. 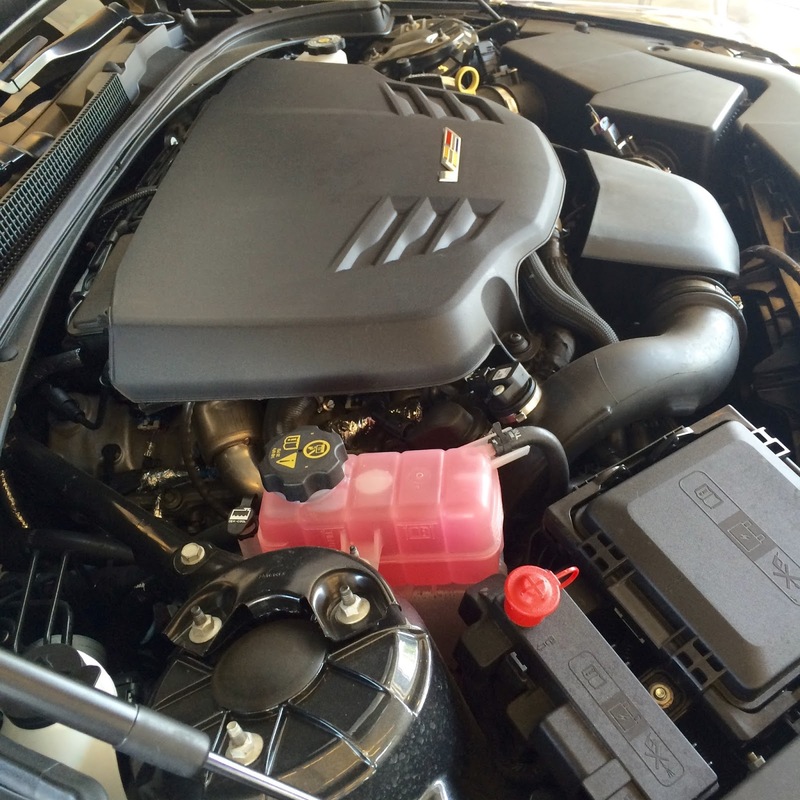 The 2016 Cadillac ATS-V has been everywhere in the last few weeks, reviewed by all the major motoring news outlets some declaring it better than the king of the segment, the BMW M3/M4. 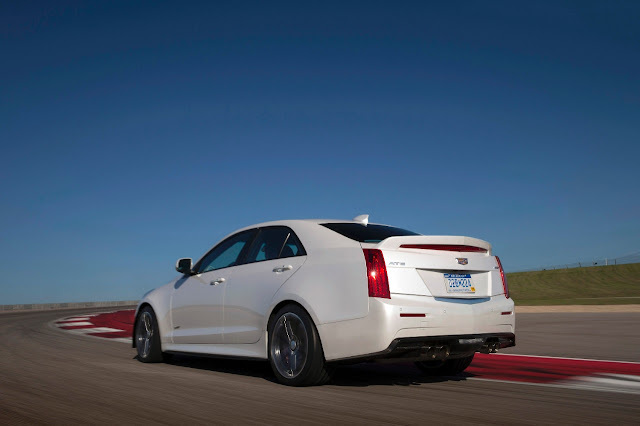 Axis was invited, brave of Cadillac, to Monticello Motor Club to find out if the ATS-V lives up to this promise. A couple of disclaimers are in order first. 1: I, as a European, will admit to unabashed car snobbery bordering on the Clarksonian. 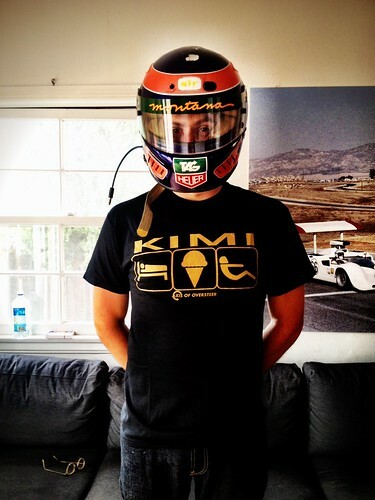 2: In the Axis pier group, we are all amateur racers/track/junkies/borderline psychos when it comes to our cars. 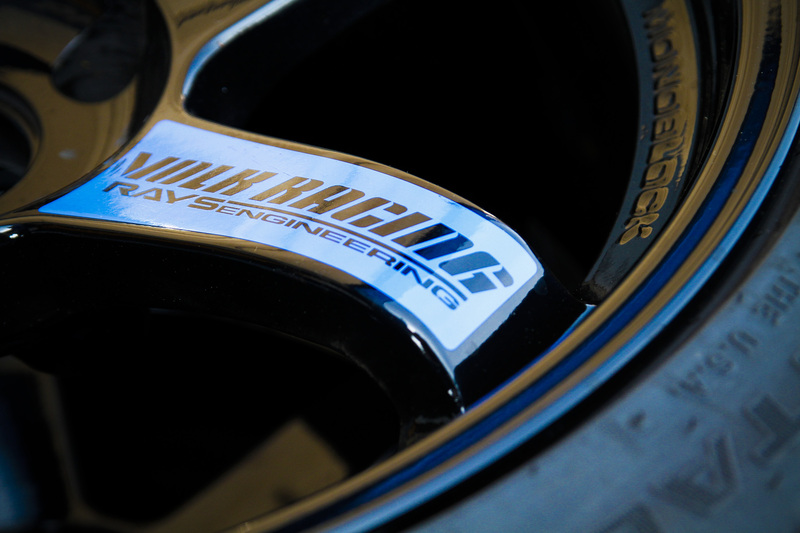 Our track vehicles are modified to better perform and be reliable on track, replacing brakes and suspension is seen as just something you do. When something breaks or wears out, we call it our a-hole tax because we are a-holes for doing what we do to perfectly good machines. 3. One of the original Axis group, after many years working for a bavarian automaker has recently moved to Cadillac and that is an integral part of the story. Axis generally does not get invited to these car events. 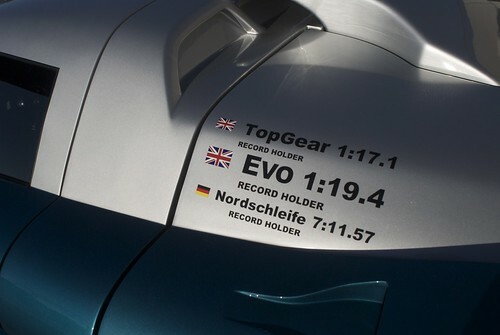 The last time we were was for the launch of the BMW 1M. Back then, BMW put some fairly strict limits on what you could do at the track, for example you were not allowed to do two consecutive laps without stopping in pit lane! When Stee and I arrived at Monticello, the Cadillac team just said: "There are the cars, you have 6 hours of track time, do what ever you want just don't be "that guy". On the Axis Facebook page, what people were most curious to know from us was if the turbo ATS-V would overheat and how long would the brakes hold out. We got a technical briefing from John Barrick, a lead engineer on the ATS-V project. Like a proud papa he pointed out all the additional cooling on the car, the aero work underneath to keep the flow clean, the way air is taken from under the splitter and channeled via a suspension arm mounted deflector to the trailing part of the brake rotors "to cool them before they hit the caliper". everything where it should be and the V6 sits almost entirely behind the front shock towers. The Carbon Package front splitter, front wheel arch deflectors and rear spoiler are functional (the side skirt carbon pieces are not) giving the car zero lift at V-Max. It's a must have for the looks of the car as well. There was no doubt about the engineering passion there and Cadillac poaching talent from BMW says a lot, in our eyes, about their effort at being a player in this segment long term. But enough about all that, we promised we would be beating on the cars without mercy. Neither Stee or I have had a chance to drive a current generation M3/4 on the track so we will not feed you any lines about this being more M3 than the latest M3, we don't know that for a fact. What we did bring though is the Axis E92 M3 for reference. 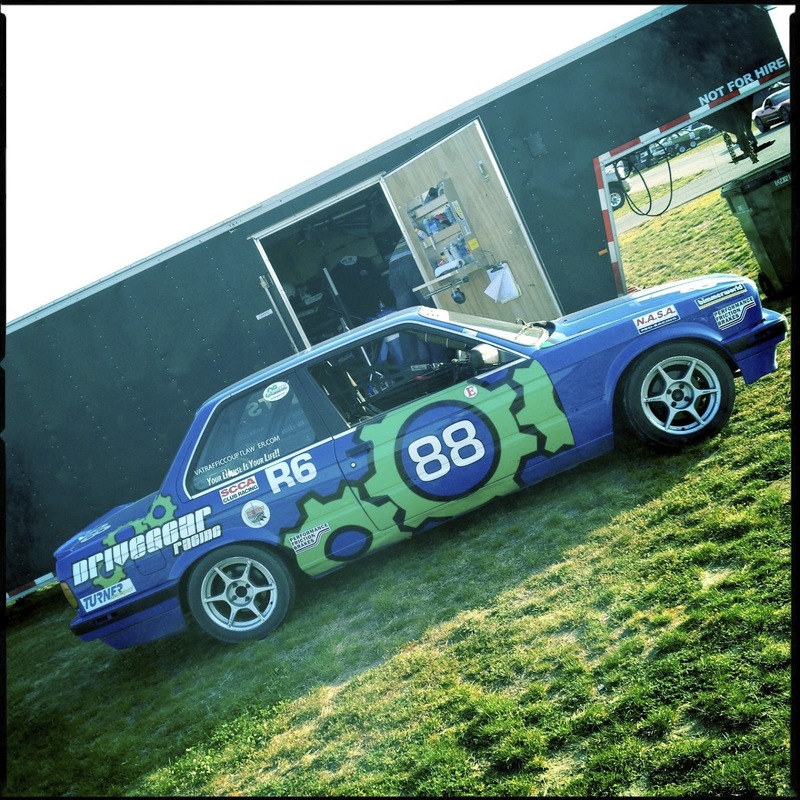 The V8 M3 is, being an Axis car, not stock. It has Performance Friction brakes on all fours, it has fancy Motion Control shocks and stiffer springs. Everything bolted in behind the front seats has been stripped out to save some weight and it has an amazing sounding, cat free exhaust. In other words, a sweet streetable track car, one that will lap Watkins Glen well under 2:10 all day long with R- Comp rubber. To keep things fair the M3 was on street tires like the the Cadillac. The track at Monticello was pronounced especially greasy by the club's pro instructors that day and while both cars were shod with Michelin Super Sport, the Cadillac's were brand new and their own "special" compound for which we'll take their word. The M3 tires were older although, wear wise, by halfway through the day the Caddy' rubber looked more worn out. Yes, the old tires on the M3 kill his corner exits especially but keep in mind that's a frigging Cadillac up there and trust me, Stee's a competitive guy, he was trying. 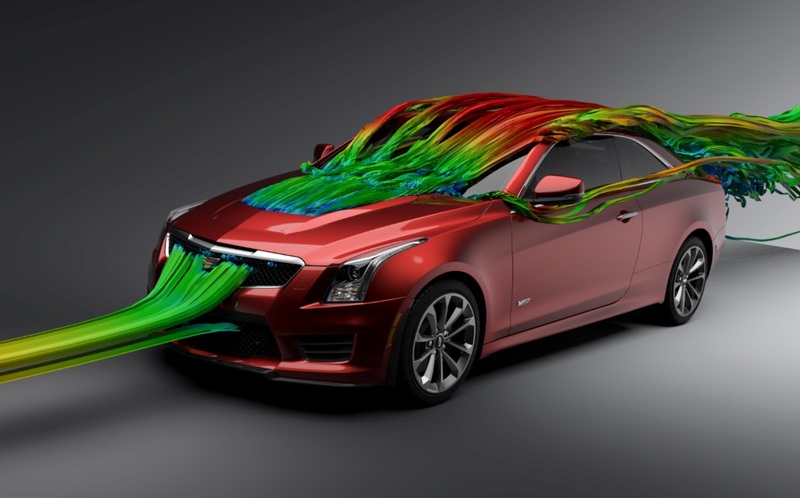 All day the ATS-V would not just "keep up" but pulled away from the M3. Think about that for a second, it blew my mind. That's a Cadillac? 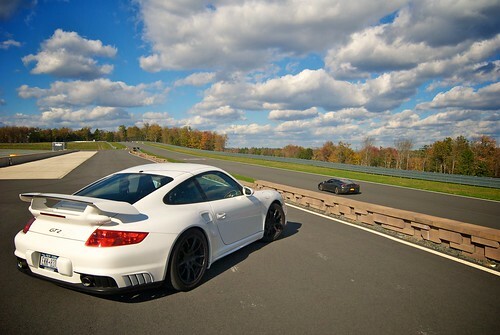 We ran multiple 25 minute sessions in the car, much like you would if you are attending your local track day. We did not have the cars all to ourselves, there were a bunch of other folks out to try them. I can't say how hard others pushed but the four cars Cadillac made available were in and out of the pits all day long, stopping only for gas. None failed or went into limp mode. Track guys will appreciate being able to monitor both transmission and oil temperatures on the dash. Oil temps got as high as 280F but they cooled by 50 degrees over one cool down lap, that's impressive. If you pulled right into pit lane without a cool dow lap, brakes would smoke but they never faded and felt consistent the whole day. The limiting factor in the end were tires, after a few laps they would get a greasy and while the car's behavior remained consistent, the lap times got slower. Physics cannot be completely defeated. 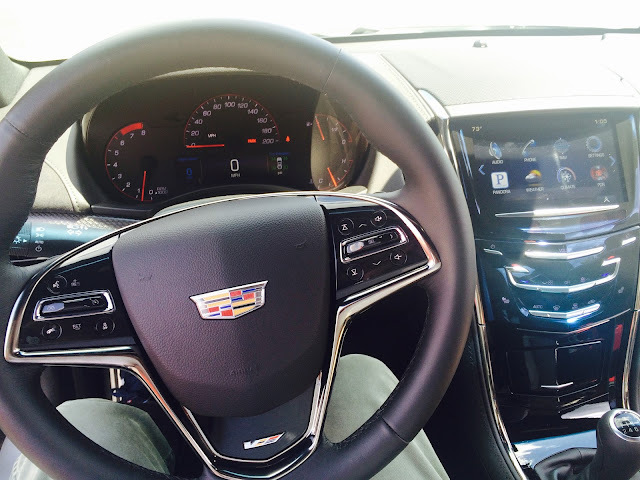 What does it look like to drive an ATS-V? I hadn't driven Monticello for many years, but the ATS-V is your friend, it's very easy to drive hard. Cadillac did a great job with the balance of the ATS-V, I especially appreciated how it responded to trail braking into the apex and how well it transitioned as you released. There is a tight chicane at Monticello that tempts you into riding the high curbs, the ATS handled them with ease. Score two for the magnetic shocks and the electronic differential. Again, it's a Cadillac we are talking about, this car did not miss a beat despite our best efforts, it's crazy. By now you must think we drank too much GM Kool-Aid.... It's not all perfect. 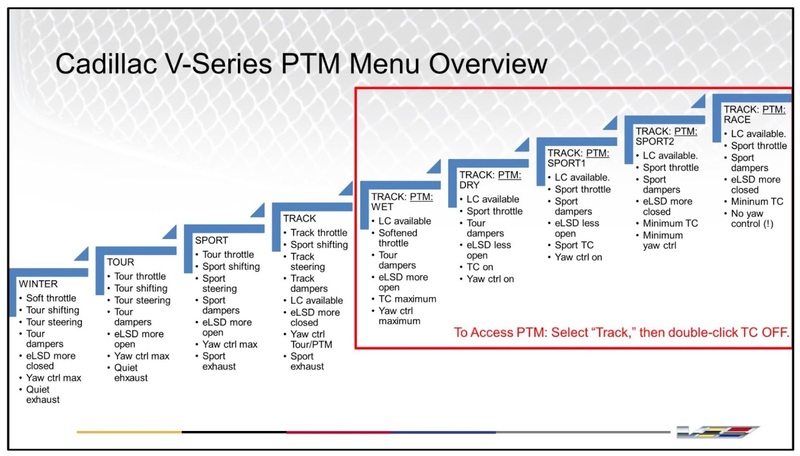 Let's talk about the PTM (Performance Traction Management). I understand engineers are perfectionists, that it was developed with data from the racing program but fellas, nine different traction control settings? Even Ferrari makes due with 5! More to the point, the settings are preset combinations. You cannot choose your own combination of shock setting, throttle map, differential lock up, yaw and traction control. Yes, that would be a lot for your average consumer to deal with (and because lawyers), but how amazing would it be to have control over those options to suit the conditions on the track you are driving? We tried the different modes, anything below the very top level, Track/Race. was just too intrusive. Race mode tightens everything and moderates wheelspin on corner exit. It does it very gently and I wonder if that is what some reviewers mistook for turbo lag. The V6 has that turbo feel but with TC off there lag was minimal. That said, with the greasy track that day, Track/Race yielded a better lap time than with the system switched off. It's not because we can't drive, we had the Monticello lead instructor try two laps with the same result. We were not fans of the 8 speed automatic, the magnesium paddles may be fancy but their action felt more like a video game wheel button than a proper paddle. Also, we noticed how the system would be very quick if you upshifted well below redline but wind the motor and it seemed to stick and stumble onto the limiter. We were guessing a software issue. 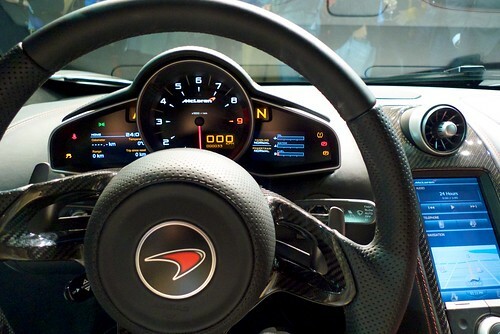 On the manual transmission model optioned with an HUD, the limiter would kick in before the display showed redline. While on the subject of displays yes, the gauges on the ATS-V are not up to par. The rev counter is in the wrong place, it should be smack in the middle, especially since turbos and open windows make it hard to judge engine speed even with Cadillac's synthesized engine noises coming through the audio system. At least add shift lights. The 6 speed manual was generally good but could use a more positive feel, a couple of times I ended up in 5th rather than 3rd. Not just me, the MMC chief instructor had the same issue. Auto-blip downshifts I can live without but the no-lift upshift is cool. The optional Recaro seats are comfortable and have a bewildering array of adjustments. The harness holes are fake, intentionally, so don't count on using them. Also, because seats are engineered for people driving without lids, the angle of the headrest portion and the added thickness of the helmet may be an issue for you. The interior features haptic buttons and touch screen. We were not fans especially because you have to hit the spot just so or they don't work. Fit and finish on the car is generally good but not quite to BMW standard everywhere. It drove Stee crazy that the car's chime sound is exactly the one he remembers from his grandfather's Coupe de Ville. Styling is subjective they keep telling me (disagree but, hey, ): The front of the car looks great but some styling elements on the ATS-V looked heavy. The rear 3/4 view of any M3 has always been a benchmark, the AST-V coupe looks slab sided and heavy from that angle, the sedan is better there. A DSG M3 vs a 6 speed ATS-V at a less than a $4000 difference. Opt for the BMW with a 6 speed and the difference in price is nominal. Has Cadillac created a high enough value proposition to cut into the M dominance of the segment? Dynamically we would say yes. Even without the benefit having driven the F80 M3/4 to compare, we would agree the ATS-V has got to be considered a serious player in the segment. The details, the feel, the things that make a great car into an icon, maybe not quite yet. 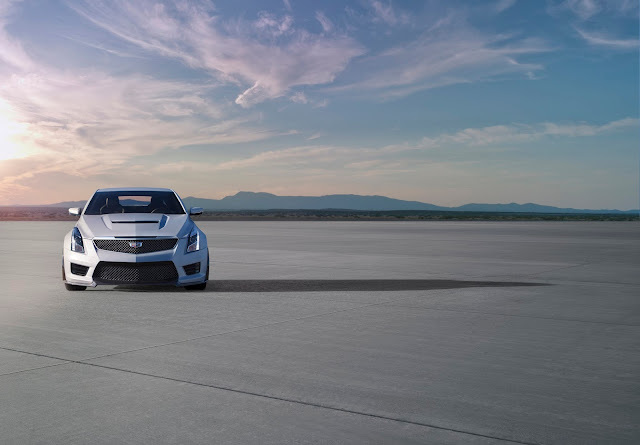 But is the ATS-V a car you could drive day in, day out and occasionally take to the track, just as the dealer delivered it and embarrass a few people in fast cars? A Cadillac... who would have thought?